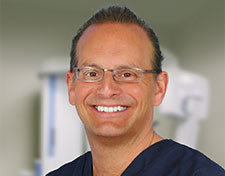 Dr. Charles Burns Is Proud To Announce The Addition Of Solea Laser Technology. For A Long Time, Going To The Dentist Has A S Bad Rap. In Fact, 50% Of Americans Do Not Regularly Go, A Hurdle We Work Hard To Overcome By Investing In The Best Technology On The Market. The Newest Addition To Our Practice, Solea, Is So Good, In Fact, You Can’t Even Hear It Work. Solea Is A New Dental Laser That Is Quickly Becoming The Industry Standard. People Often Compare It To Lasik, And How That Technology Revolutionized Corrective Eye Surgery. When We First Heard About Solea , We Learned As Much As Possible, And It Became Clear That This Technology We Could Not Live Without. Today, It Has Replaced Dental Drills For The Majority Of Procedures In Our Office, Which Means No More Noise, Uncomfortable Vibration, Or Anxiety. It Also Means We Can Do More In Less Time. For You That Means Fewer And Quicker Appointments. Charles E. Burns DDS Today Announced The Addition To His Practice A Revolutionary New Tool In The Quest For Better Smiles — The Cadent ITero™ Digital Impression System. 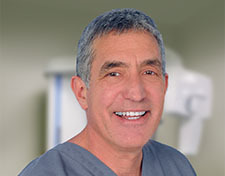 Designed To Replace The “Dreaded Goop”, Unpleasant Taste, Drooling, Inherent Inaccuracies And Gagging Associated With Traditional Impression Taking For Crown & Bridge Restorations, ITero Enables Dr. Burns To Offer His Patients A Technology Driven Impression Procedure That Is Far Superior To Conventional Methods. By Using A Hand-Held Wand To Optically Scan The Area To Be Restored, The Patient’s Entire Impression Is Created 100% Digitally With No Mess Or Bad Taste. This Translates Into A More Comfortable Impression Process, Less Chair Time And More Precise Fitting Restorations That Look And Feel Like Natural Teeth. ITero™ Eliminates Weaknesses In The Impression Process, Such As Voids, Pulls, And Tears. With A Precise Starting Point, Dentists Are Able To Create Digitally Accurate Restorations. Explore a photo gallery of our work. Get the SOUND(less) SLEEP you need. Slavin, Jackson & Burns, Comprehensive Dentistry. Offering a Full Range of Dental Services in the Utica, NY Area. My wife's happy, I'm happy. I don't wake up with headaches anymore and don't get tired during the day, because I am getting my full rest at night. I am very happy. Just wonderful! I am so pleased to get rid of my CPAP machine. I wake up well rested. No snoring. Both myself and my partner are extremely happy. I would highly recommend Dr. Slavin and his staff to anyone who has sleep apnea. Thank you for taking the time to come and answer questions at our Cavity Free Kids Training. The teachers who attended the training noted that they found your session to be particularly informative and useful. We hope you know how appreciated you are in our community! The new imaging technology for designing and precisely measuring dental crowns is remarkable. Although I have had no major issues previously, the recent crown 'snapped' in perfectly and immediately became part of my dental landscape. No more jaw pain. No more ear aches or headaches. No more sleepless nights -All due to THIS. The orthodic you fitted me with has relieved all that and it was immediate relief! I had been in physical therapy, but no longer need treatment. My P.T. was very pleased also! My name is Amy Gorczyka and Wayne is my husband. Since replacing the CPAP with the new oral device, he is sleeping more restful and quieter. It is so much easier for him. We are grateful he found this product. I feel so lucky to have met such a wonderful, caring person like you. You touched our lives in such a positive way. I want you to know your kindness has inspired me to pay it forward in many ways to help others. Over the years I have had a number of crowns and bridges, and I always hated the gooey impressions. The iTero eliminates all that. It is so easy and, best of all, so accurate. I have never had crowns and bridges fit better. It is an amazing mechanism. I felt the need to go out of my way to applaud Dr. Burns who continuously goes out of his way to show kindness & compassion to his patients. 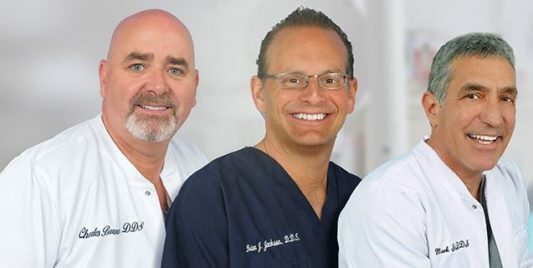 He not only provides thorough & quality dental care, but he also establishes meaningful connections with his patients which creates a pleasant & calm atmosphere for everyone involved. 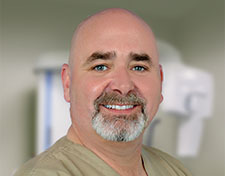 As a young adult supporting myself through graduate school, I appreciate not only the reasonable prices at his practice but also Dr. Burns' complete honesty about which dental procedures are crucial - you can trust his opinion wholeheartedly as he gives advice like he is offering it to a family member. I found his practice online but you bet I recommend Dr. Burns to everyone that I know. Thank you for your support! Rest Assured that all information provided to our office wil be strictly confidential. Thank you for thinking of the dental office of Drs. Slavin, Jackson and Burns.